Home Guide The Definitive Stethoscopes buying Guide —Find the best for you! Which stethoscope is best for my specialty? As a doctor, do you know what will have the greatest impact on your patients’ perception of you? Do you know which tool will influence your patients to see you as a trustworthy and respectable doctor? This was revealed by a study carried out in 2012, in which it was found that, if you wear a stethoscope hanging from your neck, your patients will perceive you as a better and more trustworthy doctor. Stethoscopes are such a characteristic tool of the profession that even my four-year-old daughter is able to recognize them. But stethoscopes, apart from being the most stereotypical diagnostic tool, and apart from being used by doctors around the world, they are also one of the tools that have been used the longest. More than two centuries ago, a French doctor created the first stethoscope, which was made out of paper and wood. It was a long tube that functioned as a rudimentary listening tool. In the following years, different doctors worked on perfecting the invention. However, one of the most significant contributions was made by Dr. Littmann of the Harvard School of Medicine. Dr. Littmann was an internationally recognized authority in the field of cardiography. He was able to evolve this invention into something far superior: an advanced diagnostic tool. 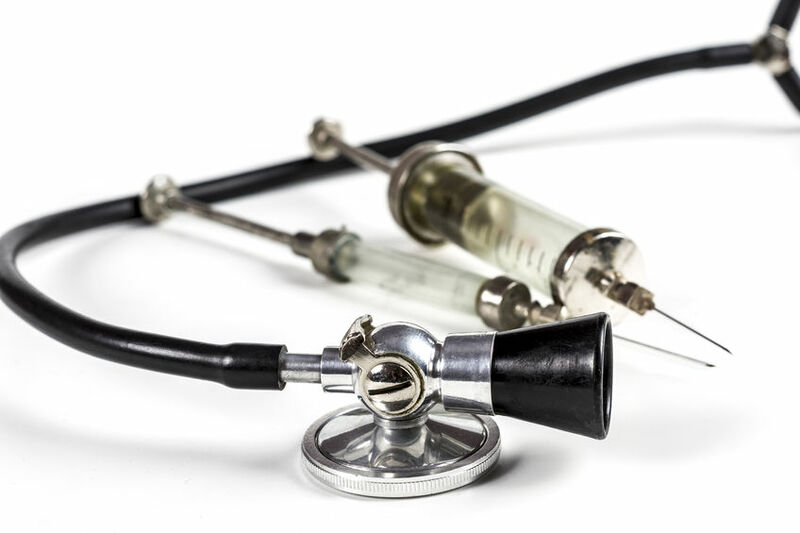 Although, in the essentials, the current stethoscopes maintain the same foundation that Dr. Littmann perfected, these instruments have evolved to become something much more sophisticated and precise. The current models include such innovations as dual frequency membranes, Bluetooth, digital noise reduction technology, amplification systems, etc. Don’t worry if you have never heard of these features! The purpose of this guide is to help you become more knowledgeable about stethoscopes in just a few minutes; this guide will also help you find the perfect stethoscope for your specialty. Note: If you already know how a stethoscope works, if you know about all of the parts, if you know the difference between Littmann stethoscopes and other kinds of stethoscopes, and the differences among the different types, then you can skip this introductory section and go to the next section. The operating principle of a classic stethoscope (also called an “acoustic” stethoscope) is based on the reflection of sound waves within the tube of the stethoscope. At one end of the stethoscope is the chestpiece, whose interior contains one or more membranes, which function to capture the sound from the patient’s chest and transmit it through the tube. The binaural piece is at the other end of the stethoscope. Its function is to bifurcate the sound and send it to our ears in optimal conditions. At the ends of the binaural piece are the eartips or olives, whose function is to “seal” the conduits of the binaural piece to our ears, and to prevent the loss of sound. The chestpieces of the traditional stethoscopes typically have two sides of different diameters: the bell, with a smaller diameter, and the diaphragm, with a larger diameter. In these types of stethoscopes, the bell is used to capture the lower frequencies, and the diaphragm is used to capture the higher frequencies. However, the Littmann stethoscopes have a somewhat different operation: they have dual frequency membranes. As a professional doctor, it is very important that you recognize the difference since it could affect your diagnosis if you use a Littmann stethoscope instead of another brand, or vice versa. Littmann stethoscopes can capture low and high frequencies with both sides of the chestpiece, since they are equipped with dual frequency membranes. Specifically, there is no need to alternate between the bell and the diaphragm to capture low and high frequencies. With light pressure on the patient (bell mode), low-frequency sounds are heard. With firm pressure on the patient (diaphragm or membrane mode), high-frequency sounds are heard. Do you want to know more about Littmann stethoscopes? 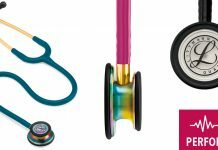 We have a detailed article where we review and compare all Littmann stethoscopes! So why does the Littmann stethoscope continue to have a double-sided chestpiece, when each side is capable of making a bell or a diaphragm, depending on the pressure applied? In this case, the small side of the chestpiece on a Littmann stethoscope was designed to be used in pediatric and neonatal situations, or for listening to auscultations from the carotid or the pulse, among other applications. The side of the chestpiece with the larger diameter was designed for customary adult auscultations. Acoustic stethoscopes have a drawback: the volume of the captured sound is low. Furthermore, if we want to keep a record of the changes in a patient, such a record must be descriptive, since we cannot record the auscultations. To solve these problems, digital stethoscopes appeared on the market a few years ago. 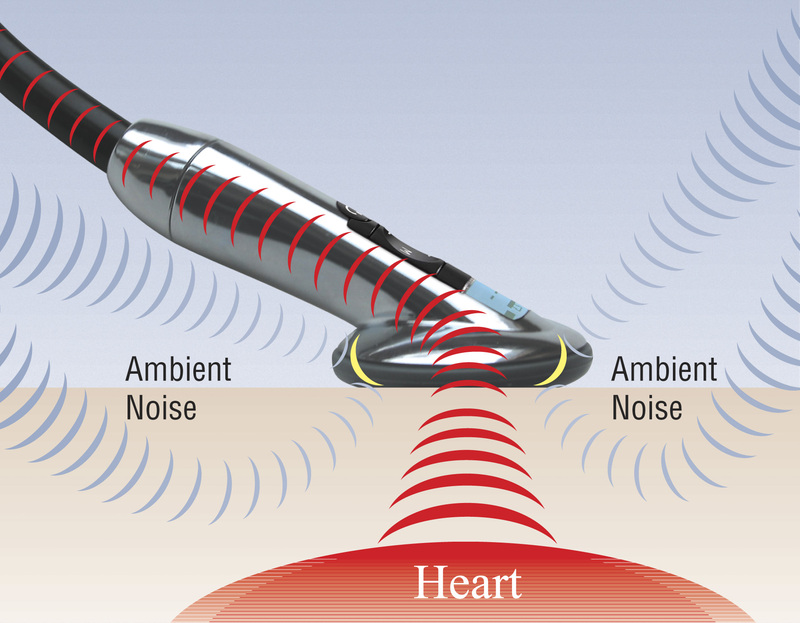 In these stethoscopes, the acoustic membrane was replaced by a digital membrane, which is able to capture more sounds and a greater range of frequencies. In addition, the sound is not sent directly to our ears. First, it is digitally processed, which makes it much easier to make diagnoses, and to hear anomalies that would be imperceptible with an acoustic stethoscope. Some models, such as the digital Littmann models, can amplify the volume up to 24 times. This function is very useful in the case of patients with obesity or when we need to identify barely perceptible anomalies. Hospitals are not always as quiet as they should be. In addition, when we amplify the sound, it is inevitable that we will also amplify the background noise—unless there is a filtering system that can clean and perfect the captured sound. Fortunately, most digital stethoscopes have the technology to provide clear and clean auscultations. Most digital stethoscopes allow you to save a record of the auscultations, and some of them even allow you to automatically send them to your computer via a Bluetooth connection. This function is very useful for including auscultations in medical reports, sending them in an e-mail to colleagues for a second opinion, or even displaying them graphically as a phonogram. Are you interested in Electronic stethoscopes? Take a look at the article where we review the most popular electronic ones! Furthermore, in the event that you are teaching, this function becomes practically revolutionary. Can you imagine being able to listen to a patient and, in a matter of seconds, being able to share or reproduce the sound so your students can make their diagnoses? So far we have seen that we can differentiate stethoscopes by the technology they use (acoustic or electronic). But this distinction does not help us too much to decide which one to choose. 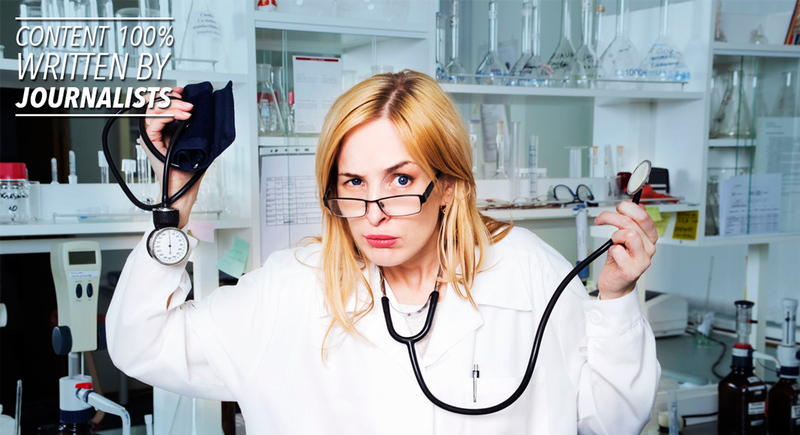 So, how do you know which stethoscope is best for your specialty? Before you can answer this question, you will need to think about what level of acoustic fidelity and performance you will need in your stethoscope. For example, if you are a cardiologist or an internist, you will surely need a high performance or digital stethoscope. However, you may be a cardiology nurse or an intensive care nurse and, for your job requirements or for your personal preference, you might also want or need a high-performance stethoscope. If your professional practice is in a specialty that requires precise auscultations, there are high-performance models available that have been designed for those requirements. Basically, there are stethoscopes designed to listen, with the maximum detail possible, to heart sounds S1, S2, S3, and S4, as well as murmurs of grade 1, and respiratory and abdominal/bowel sounds. Its specialty is to capture details and subtleties with the highest possible accuracy. Remember that although most of the stethoscopes in this series include “cardiology” in their name, they are not exclusively for cardiology applications, but rather they are high-performance tools for any professional who needs reliability and high-quality acoustics. 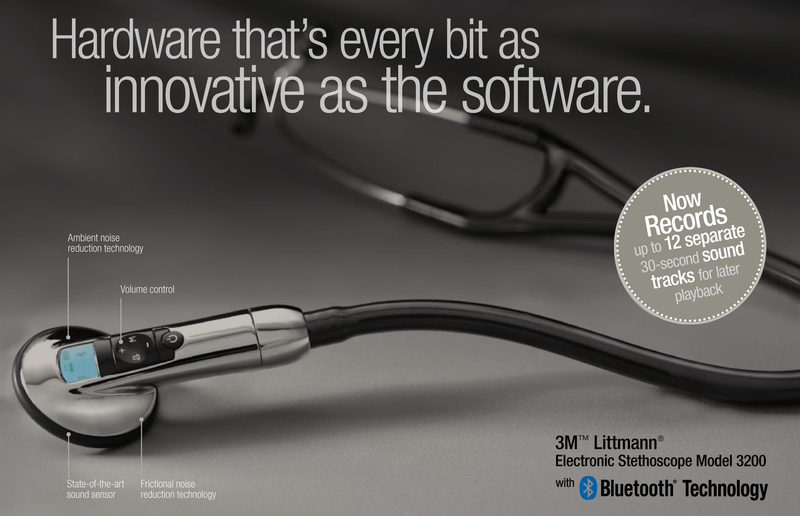 On the one hand, you have the full range of digital Littmann stethoscopes. (Here you can see a comparison of all of the models.) This is the most expensive alternative, but also the most technological, modern, and reliable solution. On the other hand, you can choose an acoustic Littmann stethoscope with high performance: Cardiology Series III, IV, Cardiology S.T.C. or Cardiology Master. Are you confused by so many models? Here you can see a comparison of all the Littmann Cardiology stethoscopes, with their differences and performance. Finally, you should know that there are options besides the famous Littmann models. For example, some good alternatives are the models ADC ADSCOPE 600 Cardiology, or those specifically for cardiology from the MDF brand, such as the MDF Classic Cardiology. In this case, the level of acoustic performance of your stethoscope need not be as high as in the specialties described in the previous section. These stethoscopes will allow you to make general cardiac auscultations, take arterial blood pressure, and make respiratory and abdominal auscultations, etc. However, these stethoscopes can present certain difficulties when making auscultations, differentiating slight nuances, and hearing sounds S3 and S4 and murmurs of grade 1. It should be noted that the distinction we are making here is not exclusive: even as a general practitioner you can choose a high-performance stethoscope if you want or need a higher level of reliability, durability and acoustic detail. In fact, there are many doctors who do not need a high-performance stethoscope, but they decide to select one. After all, a good stethoscope can have an average life of over 15 years, and it can help you make more accurate diagnoses. Therefore, choosing a reliable, high-performance tool —although a little more expensive— could be a good long-term investment. If you opt for other brands, some good, endorsed models are the MDF MD One and the ADC Adscope 601. If you are a medical or nursing student, a stethoscope at the initial level should cover most of your needs. In addition, these stethoscopes are more economical, which makes them more attractive for students. Although these stethoscopes may be lacking when it comes to hearing murmurs of grade I and sounds S3 and S4, in general, they allow you to make general diagnoses and perform general auscultations without problems. In addition, it is worth mentioning that some of these stethoscopes don’t last as long, due to the materials with which they are made. However, this is not a problem for most students, since they are aware that they are obtaining these models for use during their time as a student. In short, these stethoscopes were designed for you to develop and perfect your diagnostic capabilities; but they will probably present shortcomings and problems when used in everyday medical practice. Note: Some doctors use the Littmann Lightweight II S.E. in their daily practice, and they claim to be satisfied with it. However, with a little research we found some opinions from cardiologists, and they say that certain pathological sounds are completely inaudible with this model. In addition, this model is made out of plastic and its durability has been criticized. If you opt for other brands, you can find stethoscopes for beginners at a competitive price and of acceptable quality, such as the ADC Adscope 615 Platinum, the ADC Adscope 603 Clinician, and the MDF Acoustica Deluxe Lightweight. IMPORTANT: If you are looking for stethoscopes of this type, we recommend that you view our article “TOP 10 Affordable Stethoscopes —perfect for students!” in which we compare the most affordable and competitive models on the market. The determining factor for pediatric and veterinary stethoscopes is the size of the diaphragm and the bell. With small animals and infants, we need to use membranes that have smaller diameters so that we can effectively isolate the sounds. That said, we are on the side of the Littmann general use stethoscopes, which are suitable for diagnosing children and medium-sized animals. We are referring to those stethoscopes whose chestpiece has two dual-frequency diaphragms of different diameters. 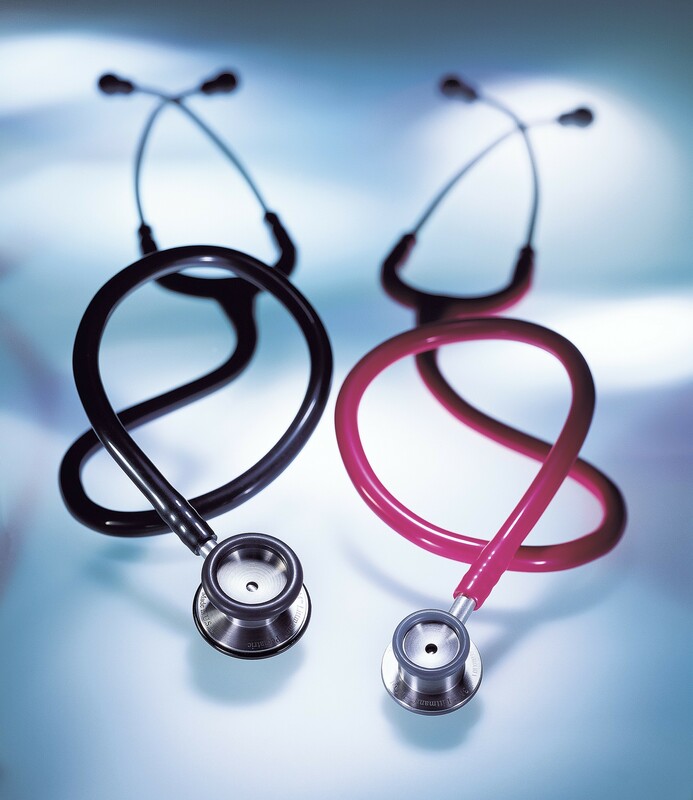 (If you don’t know what we are talking about, refer to the section of this article titled “Traditional stethoscopes vs. Littmann stethoscopes“). In these cases, the smaller diaphragm will be suitable for children, thin patients, and medium-sized animals. First, there is the Littmann Classic II Infant, specifically designed for neonates. It has a diaphragm of 1.06″ (3.3 cm) and a bell of 0.75″ (1.9 cm). Note that this Littmann stethoscope does not include a tunable dual-frequency diaphragm that can alternate between high and low frequencies depending on the pressure applied —a feature that, as we have said, other Littmann stethoscopes possess. We also have the Littmann Classic II Pediatric, identical to the previous model but with diaphragm diameters of 1.31″ (3.3 cm) and 1″ (2.5 cm). These diameters make this stethoscope perfect for pediatric auscultations of children under 12 years of age, always depending on the weight and size of the child’s body. 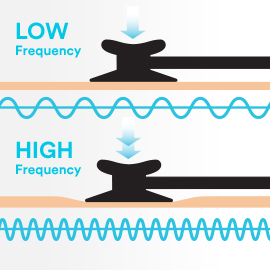 As with the previous model, this stethoscope does not include dual-frequency tunable membranes. Finally, you should know that there are models that include multiple interchangeable chestpieces. That is, these models include a chestpiece for adults, another for children, and a third for neonates. Some of the best-selling stethoscopes that fall within this group are the MDF ProCardial C3 Cardiology with Adult, Pediatric, and Infant-Neonatal convertible chestpiece and the MDF ProCardial ERA with Adult, Pediatric, and Infant-Neonatal convertible chestpiece. As mentioned above, the sole determining factor for a stethoscope to be used by a veterinarian is the size of the animal that will be auscultated. Although there is a Littmann Veterinary Classic II model, this model is exactly like the Littmann Classic II (for human use) but with a tube that is 5″ (12.7 cm) longer. Moreover, it is a stethoscope that, because of the standard size of its diaphragm, is useful only for medium and large animals (dogs, big cats, pigs, horses, etc.). But what should you do in the case of puppies, birds, snakes, and other smaller animals? 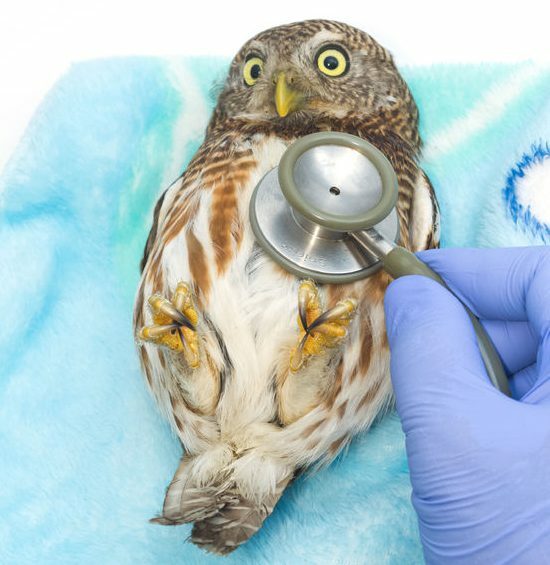 If the animal to diagnose is small (a bird, a small reptile, etc.) the best thing to do is to use the Littmann Classic II Infant, whose small-diameter diaphragm makes it suitable. In the case of animals that are a little larger (such as puppies, cats, or medium-sized reptiles), the Littmann pediatric model, whose diaphragm is slightly larger, will work perfectly. Or, if we want more versatility, we can choose models with multiple interchangeable chestpieces, which we have seen before: the MDF ProCardial C3 Cardiology with Adult, Pediatric, and Infant-Neonatal convertible chestpiece or the MDF ProCardial ERA with Adult, Pediatric, and Infant-Neonatal convertible chestpiece. Have you reached the end of this guide? If you want to thank us for the effort that we have put into developing this guide… Nothing would make us happier than your sharing it on your social networks or with your fellow doctors! 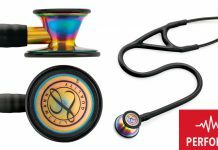 Next articleGUIDE: Littmann Stethoscopes Review —What’s your perfect one? Journalist specilized in Science, Medicine and Technology. Proudly married with an Internist and father of a lovely 4 years old princess!